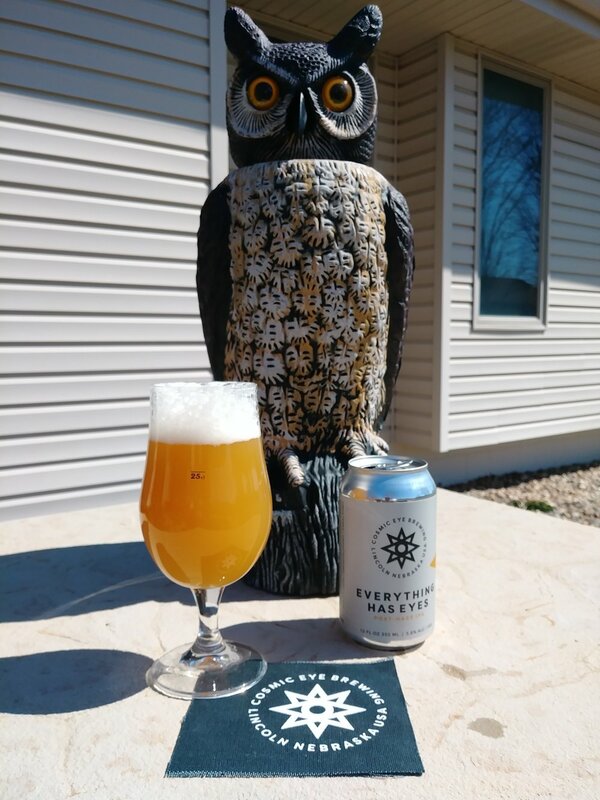 A wise old owl told me that I must try Everything Has Eyes from Cosmic Eye Brewing. This hazy IPA has lots of citrus and pine aroma. The Cascade and Simcoe hops provide the citrus flavor upfront with a nice bit of hop bitterness in the finish. The mouthfeel is very smooth! This IPA comes in at 5.8% ABV with 55 IBU. A very tasty IPA if you dare to take it away from the owl! Check out other Cosmic Eye beers. Cosmic Eye Brewing is located in Lincoln, Nebraska.